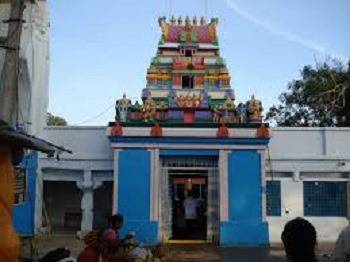 The Chilkur Balaji temple popular as Visa Balaji is situated near Osman Sagar Lake at Chilkur in Ranga Reddy district of Andhra Pradesh, about 20 km from Hyderabad. The temple was built during the time of Madanna and Akkanna, the uncles of Bhakta Ramadas, who built the Bhadrachalam temple. The temple has been a popular attraction for visa hopefuls for more than two decades. 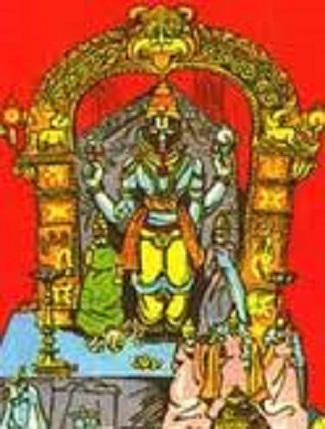 The temple is under the trusteeship of Sri C.S. Gopala Krishna and Sri M.V. Soundara Rajan. The whole archaka family have devoted their lives to Lord Venkateswara. Balaji is one of the many popular names of Srinivasa or Vankataramana, one of the ten avatars of Vishnu. There is very heavy rush of people on Fridays, Saturdays and Sundays. For the convenience of devotes a separate corner has been designated as a "coconut breaking place" in the temple premises. Lord Balaji is one of the most worshiped incarnations of Lord Vishnu. His devotees visit his many temples to pray for prosperity happiness, and fertility. There is no special privileges given to any VIPs visiting the temple. This temple is considered to be an alternative to Tirumala temple. According to ritual one has to do parikrama or pradikshna around Lord Balaji eleven times and pray for his or her wish fulfillment. The devotee needs to return to the temple after the completion of his wish, and do 108 pradakshinas. According to tradition, a devotee who used to visit Tirupati every year could not do so on one occasion owing to serious ill-health. Lord Venkateshwara appeared in his dream and said, "I am right here in the jungle nearby. You don't have to worry." This resort is situated in the middle of a green oasis surrounded by trees having a peaceful ambiance. The rooms and air-conditioned suites are clean, airy and well-furnished. The resort has a popular restaurant known for serving delicious food. The staff at the resort is friendly, courteous and professional. Make a wish with 11 Pradakshanas and God will make you do 108 Pradakshanas. Various buses from Mehdipatnam will help you reach the temple. Bus Route Number 288D and 288C are available from Mehdipatnam very frequently. It takes around 40 minutes to reach Chilkur Balaji Temple from Mehdipatnam by bus. please suggest me some more famous temples in hyderabad city? Hi! Go through this page to find some of the most popular temples in Hyderabad. This is one of the most famous temple in the city. People come from different part of India to worship in this temple.